Phil Mickelson was less than happy with the conditions at Le Golf National course, the home of the 2018 Ryder Cup. He criticized the layout of the par-72 7,331-yard course in a recent interview and wasn’t of fan of the style of play it called for. “The fact is, they had brutal rough -— almost unplayable — and it’s not the way I play,” Mickelson said Thursday, via ESPN. “I don’t play like that. And here (at Silverado Country Club), I can miss the fairways, I can get shots out of the rough up on the green and it’s playable. The 43-time PGA Tour winner and 10-time European Tour winner was a captain’s pick for this year’s cup. He gave credit to the European team, who won 17 1/2 to 10 1/2, for utilizing a course catered to the home team. 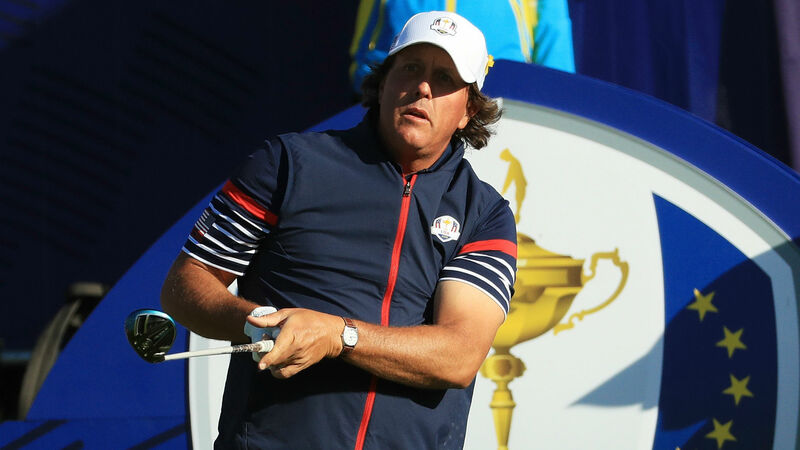 Mickelson went 0-2 for the United States in its loss to Europe. He is now playing in the Safeway Classic in Napa, California, where he was tied for the lead early Friday but fell into a tie for second place after finishing his round.